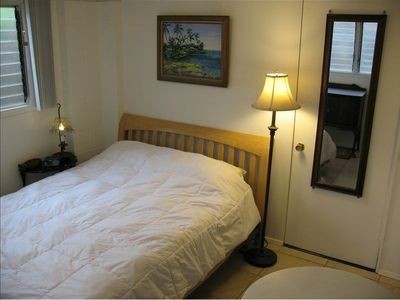 Great location for this charming furnished 2 bedroom/1 bath in Kaneohe with mountain and partial ocean views. Relax on the patio and enjoy the cool breezes in a tropical setting. 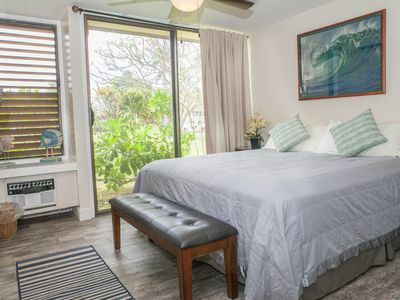 This 700 sq ft unit features an open floor plan with travertine floors, Modern/Hawaiiana decor, complete gourmet kitchen with granite counters and eat in bar, LCD TV's in living room and bedroom with comfy queen size bed and 2 twin beds. 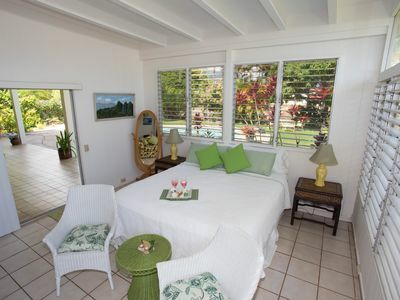 There are split AC units and ceiling fans in bedrooms as well. Also, includes separate laundry area and ample street parking. Steps to Haleiwa Joe's restaurant and 10 minute walk into Kaneohe Town to Windward Mall, restaurants and grocery stores. Looking for entertainment? Take a swim! 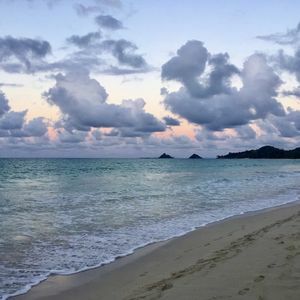 Were just minutes from the world famous Kailua and Lanikai beaches. Ko'olau Golf Course is located 10 minutes away; this par-72 golf course offers dramatic vistas of Oahu's coastline. 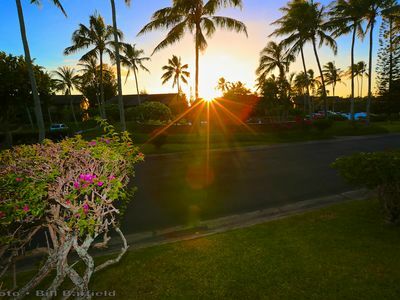 Take the family to the Polynesian Cultural Center or Downtown Honolulu shopping, as well as fishing, surfing and horseback riding are all within 30 minutes. Book a boat excursion at the He'eia Kea Pier in Kaneohe. 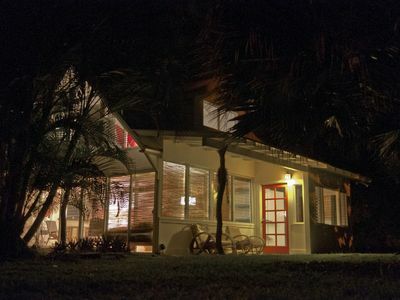 Great for a honeymoon retreat, a family vacation, corporate housing, and a Kama'aina get away. Relax and enjoy your stay here! NO smoking in or on property and no pets allowed. Our first impression was...what a beautiful location. The mountains surrounding the town are incredible. 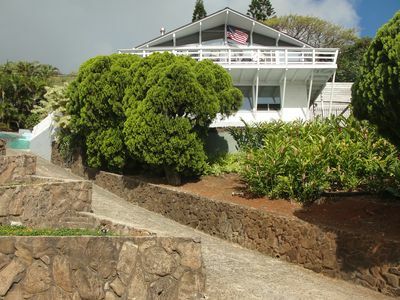 It is only less than a 30-minute drive to downtown Honolulu. It was so easy and convenient to get to many of our destinations. Our next impression was the good quality of everything in the house. The beds, the televisions, the towels, the kitchen supplies... you can tell that they did not skimp on anything. We were extremely comfortable there and would definitely stay again without hesitation. 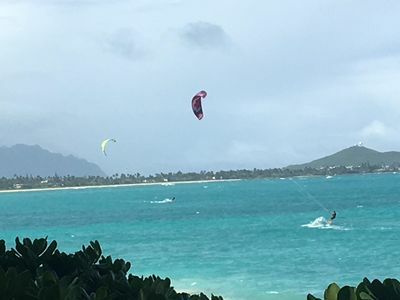 You are close to great places to eat in Kailua (Cinnamons is nice for breakfast) You are also centrally located for a variety of sites. 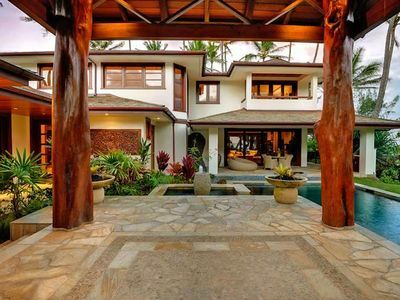 (Haunama bay, zen temple, polynesian cultural center.. all within an easy drive). My wife, twin 20-month olds, and I enjoyed the rental! The main kitchen and living area was the perfect amount of space for our 5-day stay. The kitchen was stocked with necessary appliances, cooking utensils, spices, and cooking oil. 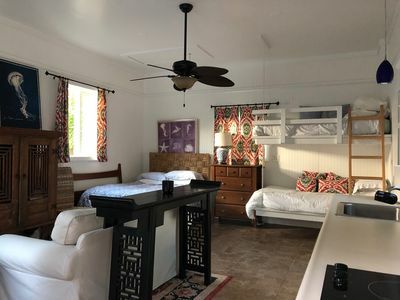 The bedrooms were perfect, for they each had their own TV and high-quality AC units, which helped with the humidity. The rental is overall well crafted , as it shows attention to detail on behalf of the builder. Practically, we used the house as a launching pad and home base for our daily adventures. We highly recommend this rental. The place is great and the owners likewise! We were greated by John on our arrival, and he made us feel right at home. The place was nice and clean. We were here on business, but I have put this in my favorites for when I come back for vacation. We spent 3 wonderful nights here. 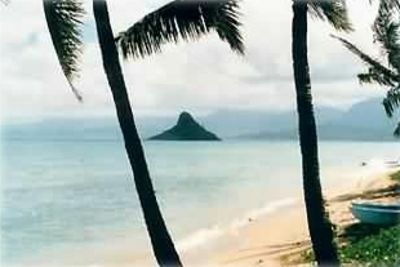 The location was perfect for us in that we wanted to take a day driving the coast road to the north shore and another day snorkeling and going to Pearl Harbor. Food is close by. Early morning on the Lanai was beautiful. 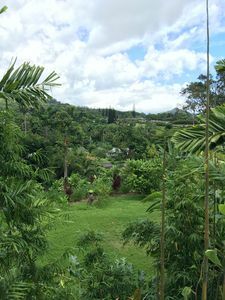 A great place to be away from the hustle and bustle of Honolulu. My husband and I stayed here for few nights. The owners are so great, so friendly! We spent a lot of time in the studio and it was very relaxing, clean, and quiet. The view to the back is gorgeous! The front is not as pretty as your right behind the home but the owners kept a very clean, kept up property. The AC in main bedroom was a blessing! I would stay here again! Beautiful neighborhood!!! Scenic views. 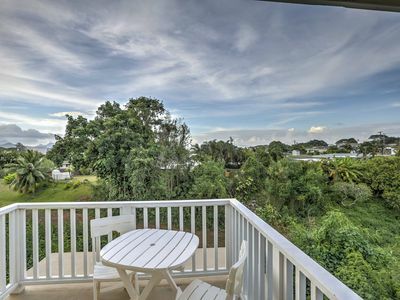 Walking distance to shopping mall, Haleiwa Joe's, post office etc. Location was amazing. 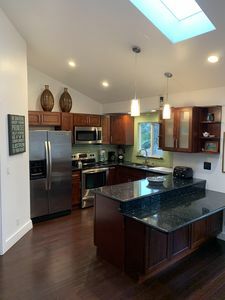 Newly renovated and very quaint! Loved our stay in Haiku!!!!! 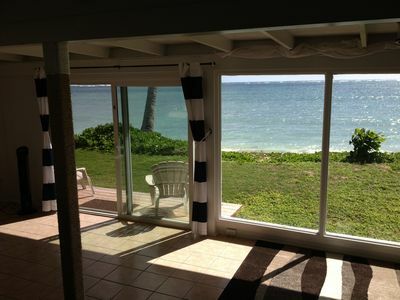 Paradise is Beachfront on the Northeast Shore Ka'a'awa! Great Value. Completely updated. Best Location on Turtle Bay's Gold Coast. 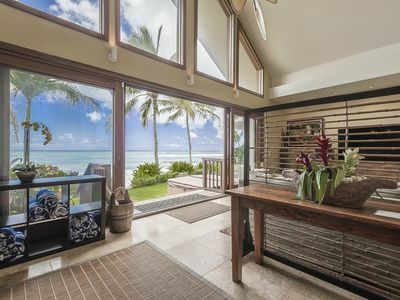 Hale Koa - Luxury home w/AC, Pool, Beachfront, Weddings & Events Welcome! Up to $150 Dollar Activity Credit included per day! Don't miss out on the fun! Aloha Beachfront Bliss - Newly Opened Calendar! Incredible Luxury home on the beach! 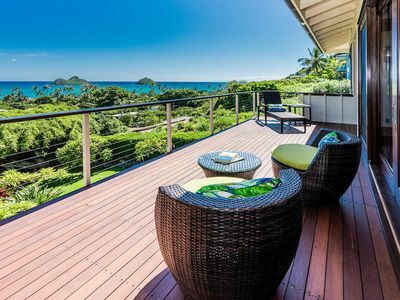 Lanikai Ocean View Villa- Inquire for a 10% discount off your stay! 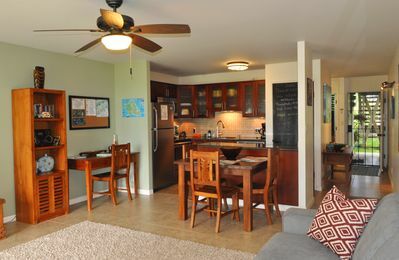 Entire Adorable Kailua Cottage waiting for you!